Emily Rose, former English Literature student and current Staffordshire Poet Laureate, has been writing for performance since joining a small poetry group in 2015. Emily has a beautifully unique style, focusing on personal experiences to create raw and passionate writing from the very heart of human emotion. She has been a regular participant at various open mic and poetry events, including Poetry Alight, Poetry for the People, Spoken Worlds, and Speaking out Midlands. She is also an active contributor to the Perspective Project, and online arts platform looking at tackling the stigma of mental illness through art expression. 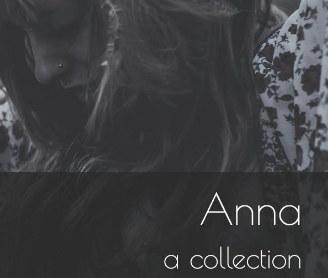 Her first book 'Anna', is taken from her experiences dealing with an eating disorder and her route through recovery. It is a poignant collection, that at times can be heartbreaking, and at times warming. Emily writes in a style that invites the reader or listener to find their own emotions within her work and allow them to find their own route through the subtext. She is a humble performer, a unique talent and a wonderful voice to modern poetry.